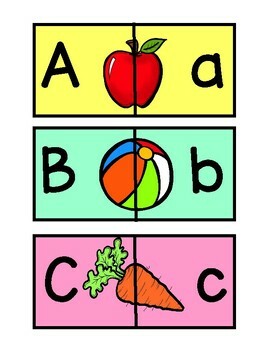 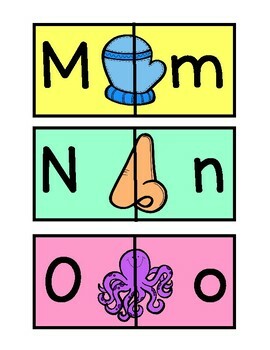 Letter puzzles to help reinforce letter identification and letter sound skills for your young learners! 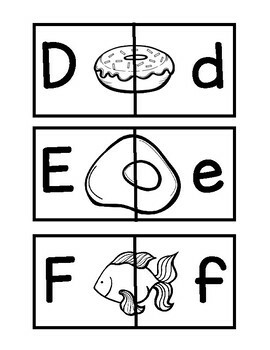 Students will match the capital letter to the lowercase letter, using a picture based off of the beginning sound to check their work. 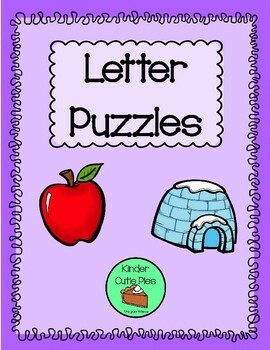 File includes color and black and white puzzles.